If you love the outdoors then why not recite your wedding vows surrounded by countryside whilst revelling in some fresh air. Take in glorious views, enjoy sweet smelling flowers, bright colours and beautiful scenery. Choose from pristinely kept lawns and landscaped gardens to a subtropical paradise or farmland setting. Include vivid vegetation, rustic woodland features, outdoor lighting and more to really beautify your venue and create an unforgettable atmosphere. For your wedding reception you can opt for a stylish marquee amidst the foliage whilst feasting on a hog roast or barbeque. There are so many options to choose from, and here at Chooseyourwedding we can provide you with all manner of inspiration to give you the garden wedding you always dreamed of. If you’re throwing a garden wedding it doesn’t have to take place during the summer or spring, you’ll be pleased to discover that most venues offer flexibility and can be tailor designed to suit all seasons and weather types. The Larmer Tree Gardens based in Wiltshire are a prime example of this. Their stunning 11 acres of gardens are available for exclusive use all year round, with the option for garden games and outdoor dining in the summer. During the colder months take a winter stroll and make the most of the picturesque scenery for some magical wedding day photographs before enjoying festive food served in their New Pavilion and Jubilee Hall taking in the fantastic garden views. 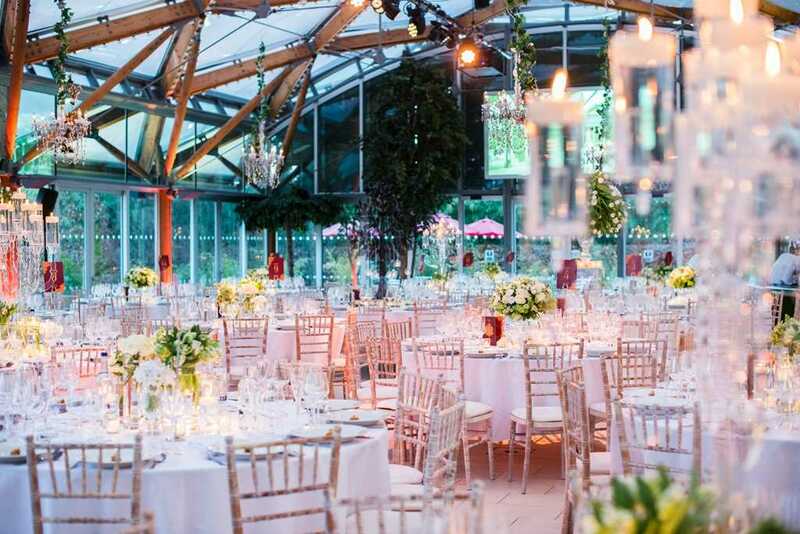 You can also hold your wedding in Cornwall’s The Eden Project, whose striking and unique setting provides a stunning environment for your wedding. 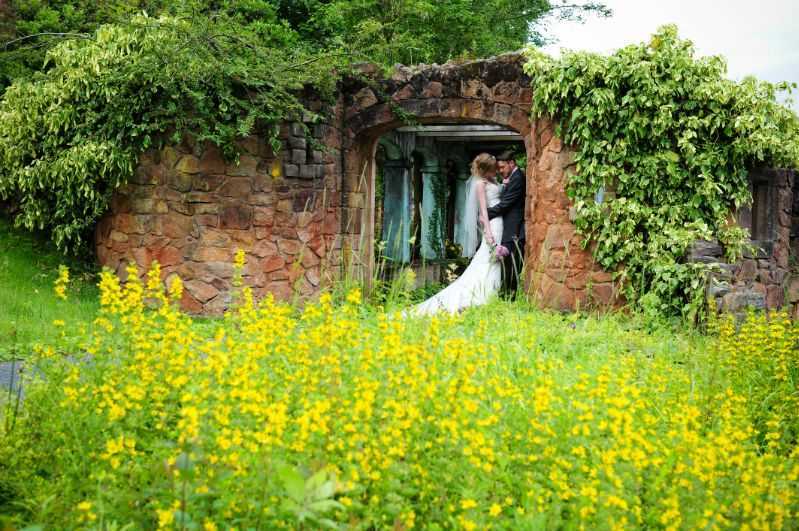 Choose between a Rainforest and Mediterranean Biome for your ceremony or wedding reception. Both are filled with lush foliage, bright blossoms and sub-tropical temperatures ideal if you want to guarantee a dry and warm wedding! 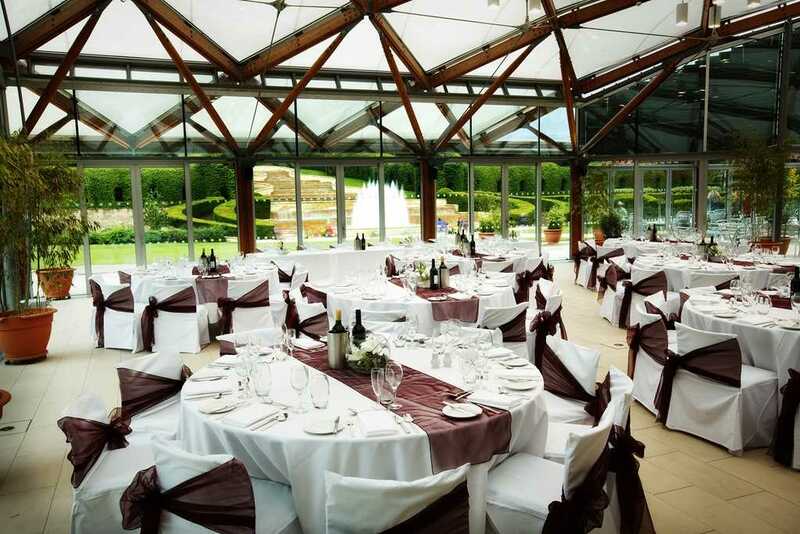 The Alnwick Garden in Northumberland offers a fairy-tale location for your special day. Set amongst gorgeous ornamental gardens, its charming treehouse is available for an enchanting celebration, with its wooden canopy making it suitable for all seasons. 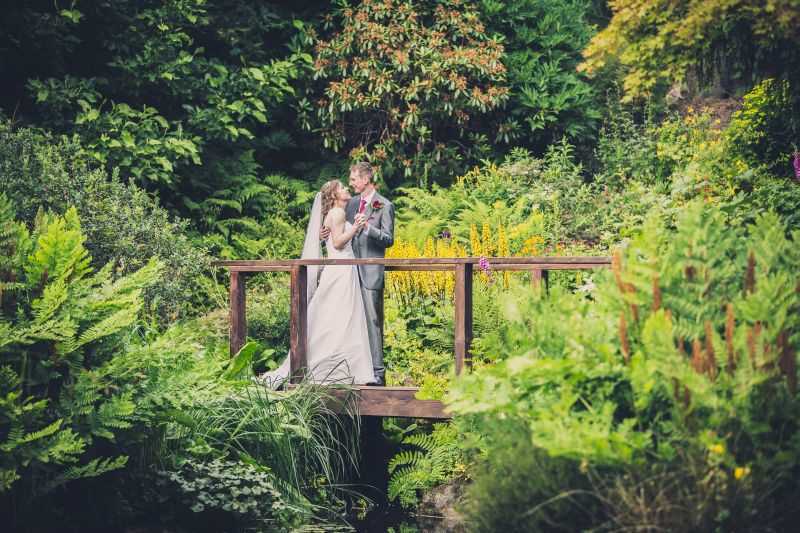 Located in the picturesque Cotswolds, Rainswick Rococo Garden is another striking venue offering a peaceful setting surrounded by beautiful scenery. Within their gardens, they boast three lovely venues; the quaint and intimate Eagle House, the rustic Red Room or the Orangery near the entrance of the gardens. The National Botanic Garden of Wales provides acres of lush foliage to create the ultimate romantic wedding photographs. 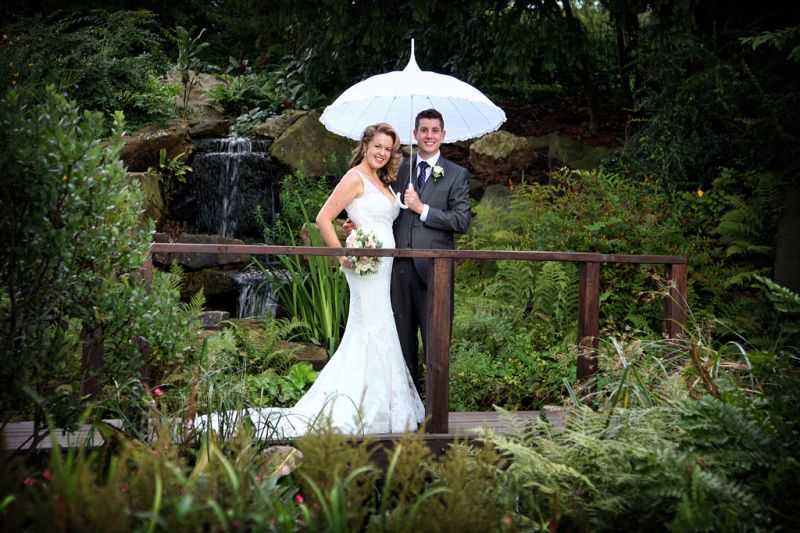 Celebrate in their charming thatched summer house which overlooks a beautiful lily pond. Bliss. 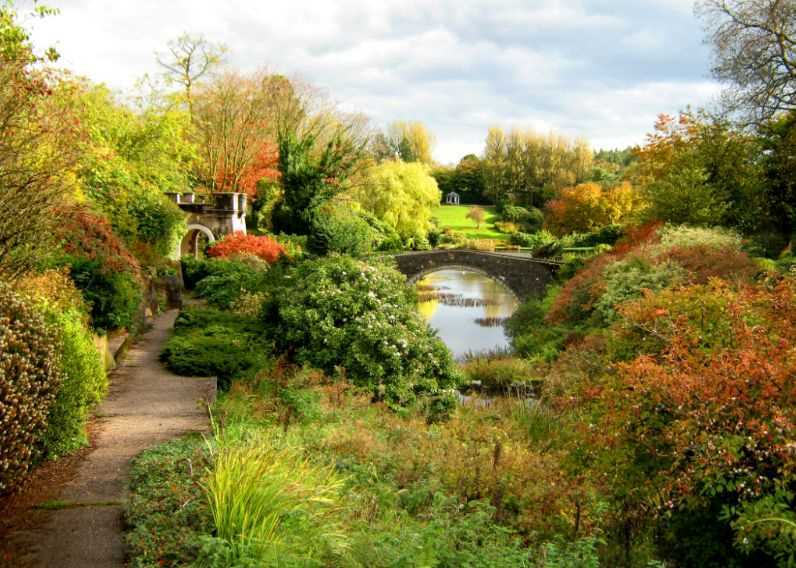 Perhaps you are looking for an elegant landscaped garden beside a striking manor house or castle. 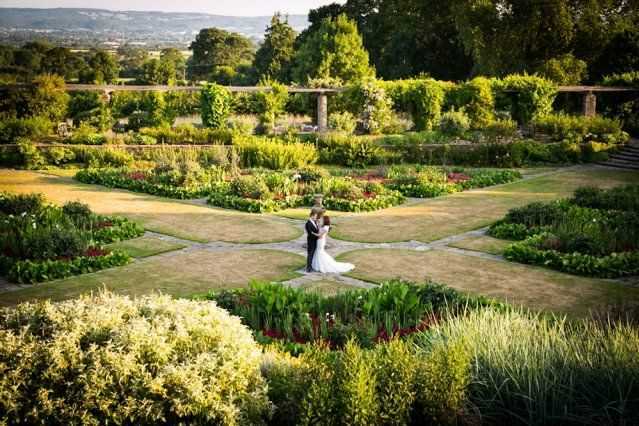 We have a wide selection of stunning venues whose gardens are kept in an immaculate condition including Hestercombe in Somerset which boasts over 50 acres of secret gardens comprising of lakes, temples, cascades and pathways to create a romantic backdrop to your special day. Kelmarsh Hall and Gardens is a picturesque country estate boasting an ornamental lake and extensive gardens - ideal for an English garden wedding. If you’re looking for tranquillity in an accessible location then why not pick some enchanting grounds in the heart of the city for your wedding venue. You’ll find we have a huge array of venues to choose from spread out across the major and smaller cities of the UK. London boasts some fantastic venues including Chelsea Physic Gardens where you can decide on a marquee on their main lawn or opt for an open air wedding. Guests can wander freely around the gardens taking in the impressive scenery. The Roof Gardens in Kensington hold beautiful themed rooftop garden wedding receptions for up to 500 guests and offers a dedicated wedding coordinator who will help make every moment of your wedding day extra special. 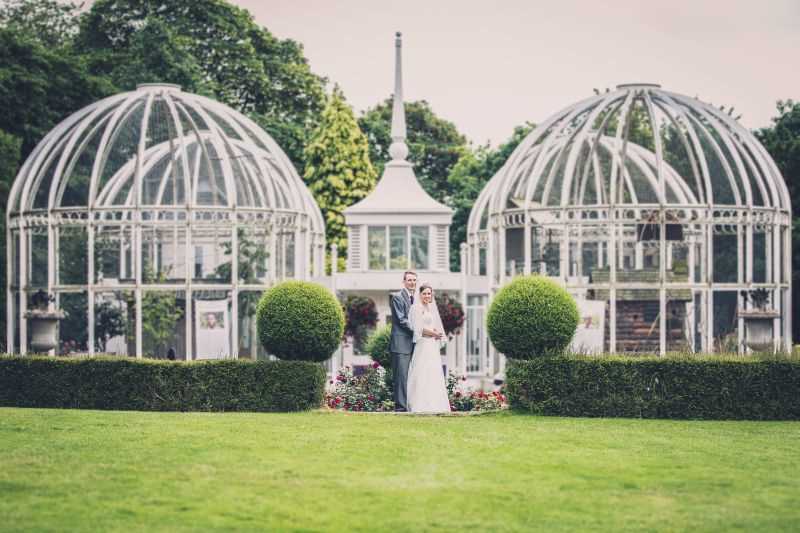 The historical Kew Gardens are set just 30 minutes away from London and creates an elegant venue for an unforgettable wedding day, with a number of superb venues to choose from. For a rural retreat why not choose a garden situated by a countryside estate, barn or farmhouse. The Ash Barton Estate located in North Devon gives you the option to tie the knot in their spacious lawns or change your mind last minute and throw a wedding inside should the weather change. Guests can enjoy a cream-tea picnic or a five-course sit down meal inside the barn – the choice is yours! When it comes to décor why not choose personalised hand-made favours, wedding invitations and table decorations incorporating birds, flowers, butterflies and tree designs to display a natural outdoor theme. Companies such as Reveries Events and Emex Events can provide you with some gorgeous outdoor lighting to put some extra sparkle into your evening reception. Pocketful of Dreams design a beautiful collection of unique props and tailor made décor to create an unforgettable and visually stunning environment. They will even deliver and set everything up for you so all you have to do is turn up! You can choose classic outdoor dining options such as a BBQ, hog roast or even a picnic. The Fat Pig Co. Ltd provides spit roast beef, chicken and hog with a tasty set of accompaniments which can be enjoyed al fresco. Or why not hire Davies Catering who provide hot and cold buffets suitable for both outside and inside dining. 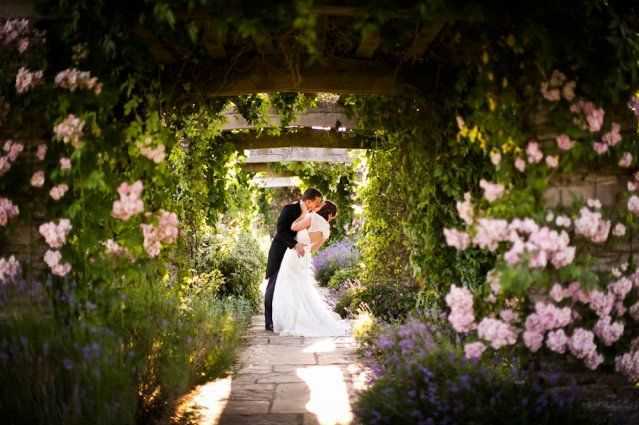 To start planning your perfect garden wedding, browse our wedding directory below.